"Give my love to whoever you give your love to..."
Ask anyone for a list of seminal moments in the Premier League era and you´d be hard pushed to find one that didn´t feature Kevin Keegan´s finger-jabbing outburst in the spring of 1996 as Manchester United slowly but surely eroded Newcastle´s seemingly insurmountable lead to take the title to Old Trafford. While Manchester United have had some worthy adversaries in the intervening years, it is a testament to how close Newcastle ran their title rivals that year that Sir Alex Ferguson pulled off a positively Keeganesque masterstroke last summer to ensure that Manchester City´s first Premier League success would be a one-off. Rewind to July 1996 and Kevin Keegan is sitting alongside Alan Shearer at a press conference to announce the return of Tyneside´s prodigal son in a world record £15 million transfer from Blackburn Rovers. Shearer´s arrival was intended to ensure that a front-line boasting Ferdinand, Beardsley and Asprilla would become even more irresistible and guarantee that the near-miss of the previous season would not be repeated the following May. The popular public perception of Keegan´s ´Entertainers´ was that they were thrilling in attack but lax at the back and more than happy to accept the challenge of outscoring opponents rather than aiming to shut them out through defensive solidity. 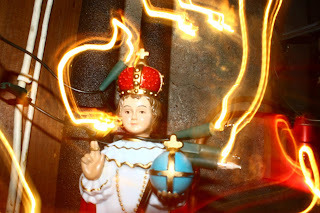 However, while there´s an element of truth to that, time has helped to exaggerate and perpetuate the myth. The reality is that Ferguson´s men scored 73 goals that season (seven more than Newcastle managed) and conceded 35 (while Newcastle´s notoriously ´leaky´ defence only let in two more goals). Faced with the challenge of taking his team onto the next level, Keegan pre-empted one of Frasier Crane’s most classic lines by subscribing to the notion that “if less is more, just think how much more ‘more’ will be!” There was no subtle tweaking of tactics to tighten up at the back - the idea was simply to blow everybody else out of the water. Unfortunately, however, it’s too simplistic to say that the team who scores the most goals (or, indeed, concedes the fewest) will win the league – the reality lies somewhere in the middle. 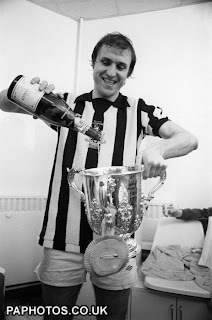 So, while it would be bordering on sacrilege to suggest that Newcastle should never have signed Shearer, with the benefit of hindsight, we’re entitled to wonder whether a top class defender may have been a more shrewd purchase and provided the steeliness and resolve that was sadly lacking as Stan Collymore, Graham Fenton, Ian Woan and other Geordie nemeses dashed our title dreams. The Premier League, of course, has moved on since the heady days of the mid-90s; tactics are now more nuanced and intricate, many teams advocate a more cautious, possession-based style of play and few teams play in the free-flowing cavalier style that Keegan employed. All of which made it so surprising that Sir Alex Ferguson decided not to address the relative lack of quality midfield options he has at his disposal and chose to bring Robin Van Persie to Old Trafford instead. It’s plain to see that he has been the difference between the two Manchester sides this season and it’s both frustrating and refreshing to realise that, for all the criticism he has endured over the years, Keegan may well have been right all along. Attack truly is the best form of defence and very few opponents can withstand a constant bombardment from world class opponents for 90 minutes. Keegan was so close to achieving footballing perfection with the players that he had at his disposal – they may not have received detailed notes on the opposition before every game or studied different tactical permutations but Newcastle were absolutely scintillating when Shearer, Ferdinand, Beardsley, Ginola and co. clicked and the 5-0 destruction of Manchester United was one of the greatest performances in the club’s history. Now, nearly 20 years on, despite successive owners having ploughed hundreds of millions of pounds into the club, we haven’t even come close to mounting another title challenge and while Sir Bobby’s team were wonderful at times, they never replicated the style and ruthlessness of Keegan’s men. Sure, Keegan didn’t win us a trophy but, in many ways, his legacy is much greater than that. We played to win and, more often than not, we not only won but we won in style. Now, as we limply struggle towards the finish line after a campaign of abject failure, it’s thoroughly depressing to think that we will never reach those heights again. What if that was as good as it gets? Alan Pardew’s post-match interview after our lucky last-minute defeat of Stoke in early March was a classic example of tempting fate. When asked about Newcastle’s involvement in the relegation battle, he replied: “to be honest, I think we are done” and while Newcastle aren’t quite in a precarious position yet, Pardew is surely wishing that he had kept his mouth shut. This season has been nothing short of a disaster and the sooner it is over, the better. The old cliché goes that some teams are “too good to go down” and while that may genuinely seem to be the case as far as Newcastle are concerned, it is far from inconceivable that they could find themselves heading back down to the Championship by the time the final whistle blows after the Arsenal match on 19th May. To be fair to Pardew, most of our defeats this season have been due to a lack of quality rather than a lack of effort and the level of performance, while not yielding many points, seems to suggest that he retains the trust of the players. Although, it is somewhat concerning that our meekest and most dispirited surrender so far this season came in our last league outing, against Man City, and hopefully it was just a blip rather than an ominous sign of things to come. While nobody realistically expected us to beat Man City in their own back yard and there were arguably mitigating circumstances for our defeat to Wigan, those two defeats have dragged us right back into the relegation scrap and arguably in an even worse situation than we found ourselves in when Reading had just left St James’ Park with all three points back in January. However, while the spirit in the camp remains high, one battle that Pardew may well be losing is the one to keep the fans on-side. Despite the obvious toll that their Europa League exploits have taken on his team this season, Pardew’s optimism has grown as they have progressed and he has recently been trying to encourage the fans to believe that Newcastle can go all the way and win it. However, the unfortunate reality is that while progress has been steady, it has also been unconvincing and has come at a significant cost as injuries to Tim Krul, and, in particular, Hatem Ben Arfa, have had a hugely negative impact on our domestic campaign. 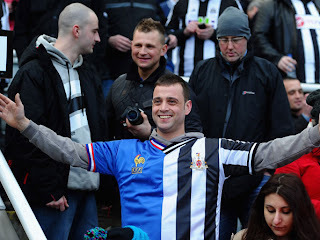 Nevertheless, some supporters have said that they would happily swallow the bitter pill that is relegation if winning the Europa League was the spoonful of sugar to help that particular medicine go down – although in recent weeks Newcastle have had the worst of both worlds as the defeat of Anji set up a very tricky tie with Benfica that will, in all likelihood, end the European dream before leaving a dejected Newcastle side facing into an uncomfortable relegation dogfight as the season draws to a close. While there have been some very good performances and victories since January’s transfer dealings reinvigorated the club and brought new hope following a bleak mid-winter, we are now at the stage of the season where points need to be earned if we are to secure our Premier League status for the next campaign. While the French imports have settled in remarkably well and have undoubtedly raised the overall standard of both our starting XI and the squad in general, a survival scrap is a tough introduction to the Premier League for anybody – regardless of whether they are French internationals or not. Pardew has often shown himself to be tactically naïve and some of his substitutions often leave a lot to be desired (but that’s a discussion for another day). My point is that he is unlikely to have a tactical epiphany that will see everything click into gear and for us to suddenly start putting teams to the sword with decisive mastery – so, with so few games left, confidence will be key if Newcastle are to hold their nerve and ensure survival. The match against Wigan was a genuine six-pointer that turned the tide in their favour and has given them momentum and confidence going into what has now become a consistently strong part of the season for them. Similarly, the upcoming derby at St James’ Park presents both sides with a massive opportunity to leave the other deeply mired in what Adrian Chiles would call “the brown stuff”. 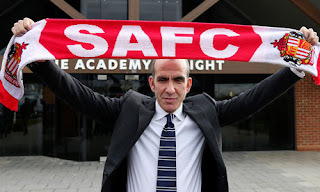 Until the recent managerial upheaval on Wearside, I had complete faith that Newcastle would confidently sweep Sunderland aside but Martin O’Neill’s sacking has really thrown a cat amongst the pigeons and, despite his success with Swindon, Di Canio remains somewhat of an unknown entity as a manager and it is virtually impossible to predict what effect he will have in the remaining weeks of the season. A victory of any kind would, of course, be one to savour and may well have the added bonus of helping to sink The Good Ship Mackem but it’s vital that Newcastle don’t let the pressure and the emotion of the occasion put them off their stride and leave them vulnerable to yet another smash-and-grab home defeat in a game that they should really win. 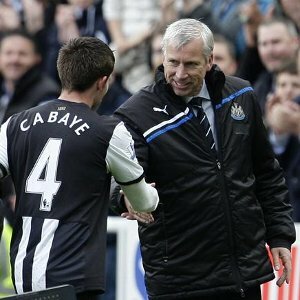 Nobody has a God-given right to stay in the Premier League but while Pardew was somewhat premature in saying that Newcastle had pulled clear of trouble, he was right to suggest that his side should have too much quality to spend their weekends worrying about what’s going on below them. Hopefully the last couple of weeks have given both the players and staff the wake-up call they needed to ensure that they finish on a high and set themselves up to challenge at the right end of the table again next season. lofty position in the league – although not as happy as the men in the boardroom. Yes, we want a well-run, successful club but we also want the glory of trips to Wembley, of cup finals and open top bus parades. We want to win trophies, to have stories to tell and to make memories that we can cherish in years to come. A trophy is just that - a bloody trophy! It’s not a pit-stop on the way to somewhere else, it’s the destination. Who grew crops where fields were fallow. For the child was far from meek. Five clenched did make a bunch. Grief consumed men who rejected. Began to buzz and beep. You’re heading off across the foam”. Not a word did the child mutter. And headed west across the water. Like a baby after birth. as his wounds they ached and bled. And saved him with his touch. 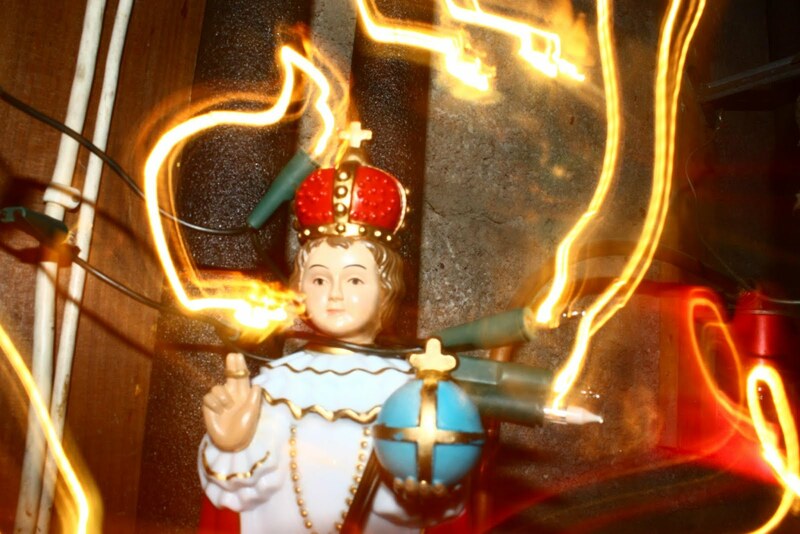 Has there been a child as pious. Who brought depth to waters shallow. Straightening branches that look better twisted. tying thoughts together with imperfect strands of rhyme. of this braindead herd of cattle. lacking stomach for the battle. about the tears you cry into your pillow in the night. in the midst of a blizzard. 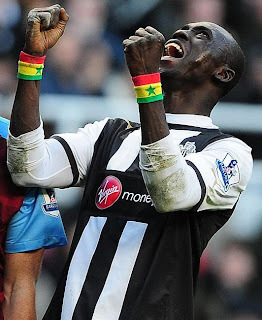 Whoever said that “the meek shall inherit the earth” has clearly never set foot inside St. James’ Park because Demba Ba throwing his toys out of the pram after being dropped for the trip to Everton back in September was clearly the catalyst for him wrestling ‘top dog’ status back from Papiss Cissé and ensuring that he would not be the one shoe-horned into the wide role that neither of them are truly happy in.